Nayak, S., Solanki, H.U. and Dwivedi, R.M. (2003). Utilisation of IRS P4 oceaan colour data for potential fishing zone – a cost benefit analysis. Indian J. Mar. Sci., 29: 244-248. Solanki, H.U., Dwivedi, R.M., Nayak, S.R., Somvanshi, V.S., Gulati, D.K. and Pattnayak, S.K. (2003). Fishery forecast using OCM chlorophyll concentration and AVHRR SST: Validation results Off Gujarat Coast, India. Int. J Rem Sens., 24(18): 3691-3699. Chauhan, P., Mohan, M., Sarangi, R.K., Kumari, B., Nayak, S., Matondkar, S.G.P. (2002). Surface chlorophyll a estimation in the Arabian Sea using IRS-P4 Ocean Colour Monitor (OCM) satellite data. Intl. J. of Rem. Sens., 23(8): 1663 – 1676. Kundu, S.N., Mohapatra, S., Sahoo, A.K., and Singh, R.P. Change analysis using IRS – P4 OCM Data after the Orissa Super-cyclone. Int. J. Rem. Sens., 22(7): p. 1383-1389, 2001. Sarangi R. K., Chauhan P., Mohan M., Nayak S.R., Navalgund R. R. (2001). Phytoplankton distribution in the Arabian Sea using IRS-P4 OCM satellite data. Intl. J. of Rem. Sensing 22(15):2863-2866. Solanki, H.U., Dwivedi, R.M., and S.R. Nayak. (2000). Generation of composite image using OCM chlorophyll and NOAA AVHRR SST for locating potential fishing grounds. 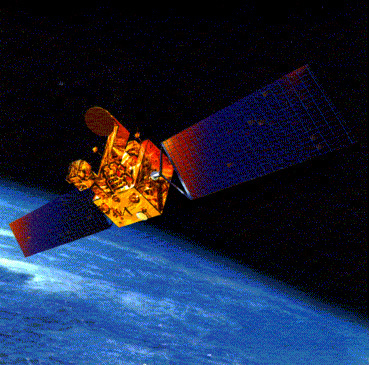 PORSEC 2000 Proceedings, Goa, India, Dec 5-8 II: 669-672. Solanki H.U., Dwivedi R.M. and Nayak S.R. (2001), Application of OCM chlorophyll and AVHRR SST for fishery forecast: Preliminary validation results of Gujarat coast, north-west coast of India. Indian Jour. of Marine Sciences, Sept. 2001, (30) 132-138. Visit the archive to learn more about these images. The fourth International Ocean Colour Science (IOCS) meeting will take place in Busan, South Korea from 9 to 12 April 2019, and will be convened by the International Ocean Colour Coordinating Group (IOCCG), in partnership with, and thanks to sponsorship from the Korea Institute of Ocean Science and Technology (KIOST). This news bulletin includes Registration for 2019 IOCS-2019 meeting, IOCCG Protocols Series (final “Absorption Protocols”), news from EUMETSAT, ESA and NOAA, Ocean Optics 2022 location call, and new publications. © 2018 IOCCG. All Rights Reserved.